Granite Chief (9,006 feet) sits on the edge of the Granite Chief Wilderness (details), just west of the Squaw Valley Ski Resort. 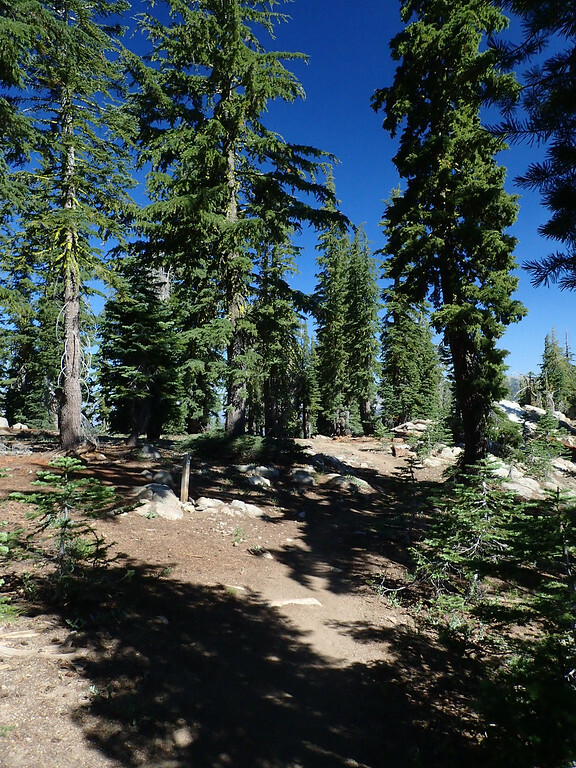 We chose to approach the peak via the Granite Chief Trail (USFS #15E23) and the Pacific Crest Trail (PCT), with a little cross-country on a sandy use trail at the end. 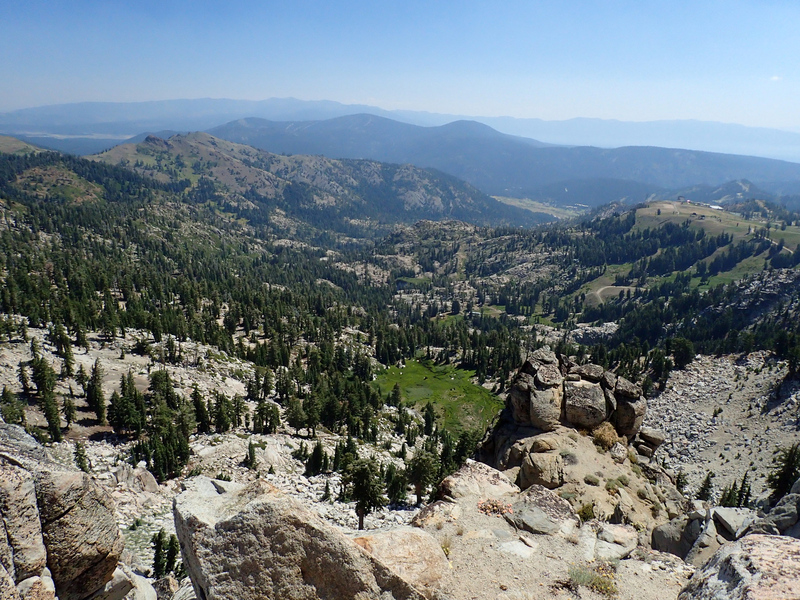 This peak was attractive both for the view from its summit and for the views that could be had along the Granite Chief Trail and the PCT. 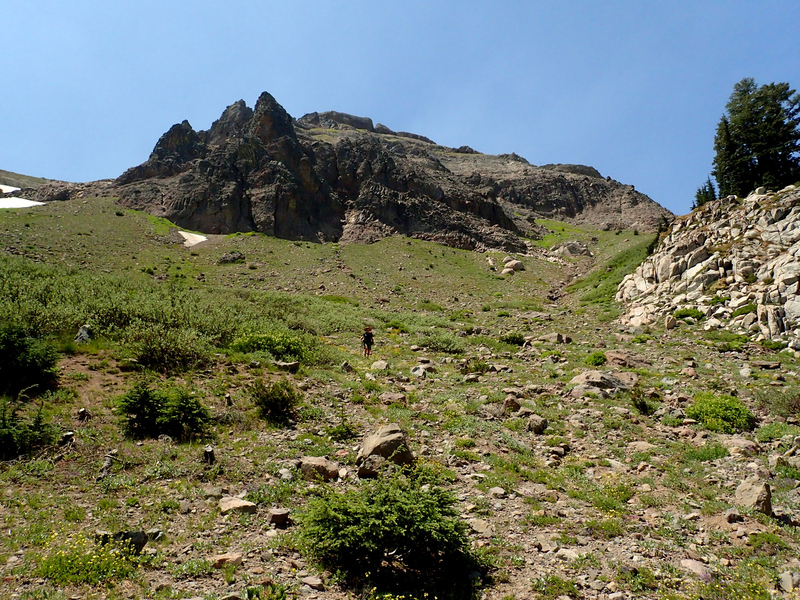 If there’s anything tricky about this hike, it’s finding the start of the trail. Various guidebooks and websites give slightly differing directions but we found the trail by heading toward the adventure ropes course just to north (right) of the Olympic Valley Inn. About 50 feet in from the parking lot, we came to an obvious trail running at right angles to us – this was the Granite Chief Trail. We turned left (west) here and were away on our hike! 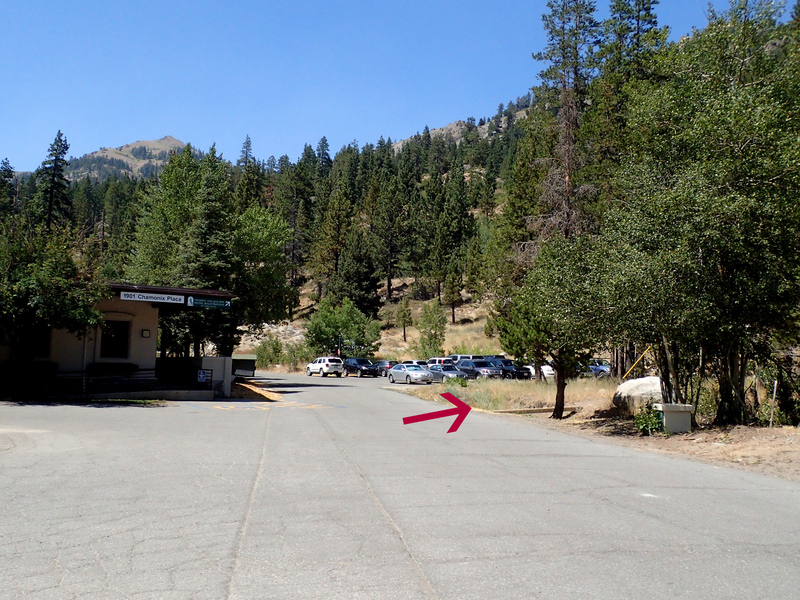 According to some of the other directions we found, there’s a fire station further to the right of the Olympic Valley Inn and the Granite Chief Trail seemingly (we didn’t check it out) starts behind the station. We also found several other use trails leading from the parking lot up to the trail – one of which starts from behind the Olympic Inn’s dumpster! 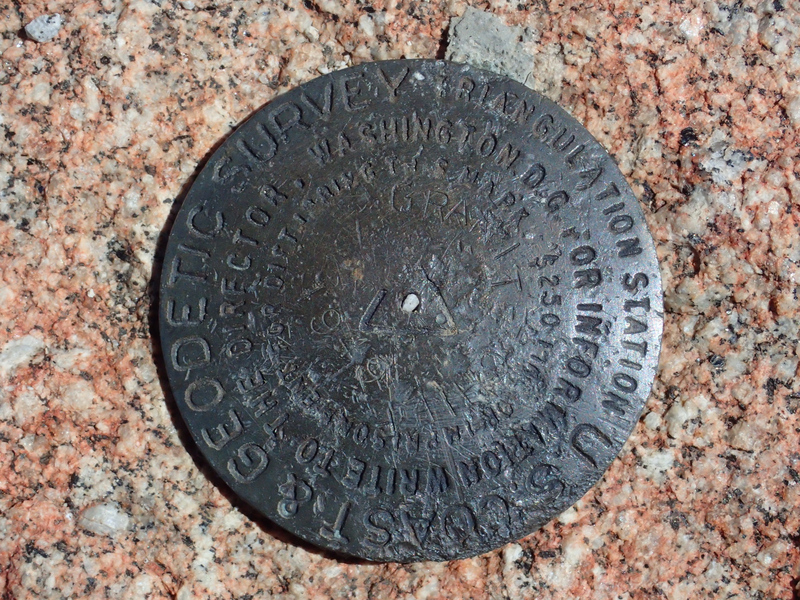 and, after about 0.5 mile, comes to a “Granite Chief Trail” sign. Here we turned right (uphill) to continue on the correct trail. There are a number of use trails in this area which, if followed, only take you to the creek. 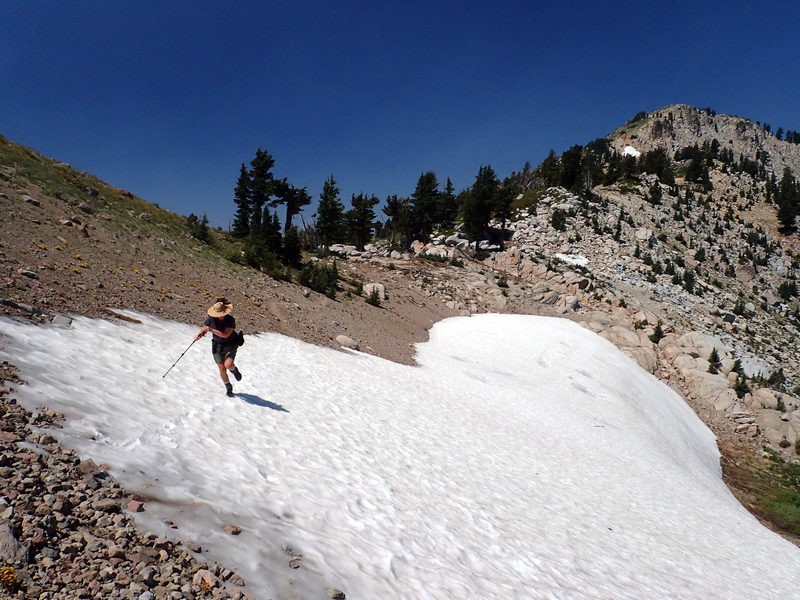 There were no other signs until we got to the junction with the PCT. 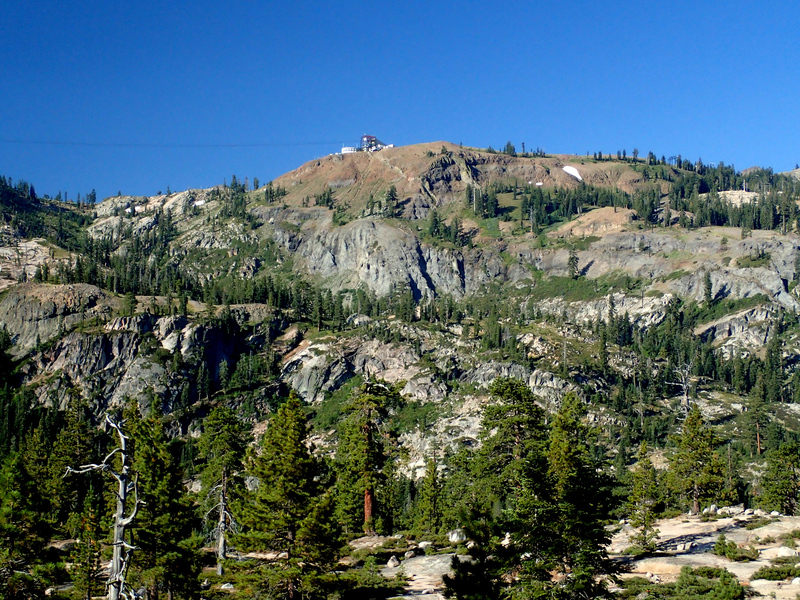 The trail heads generally north and then enters an open slope, where we got our first views of the mountains to the west, including that of the “High Camp” station for the tram for the Squaw Valley ski area. 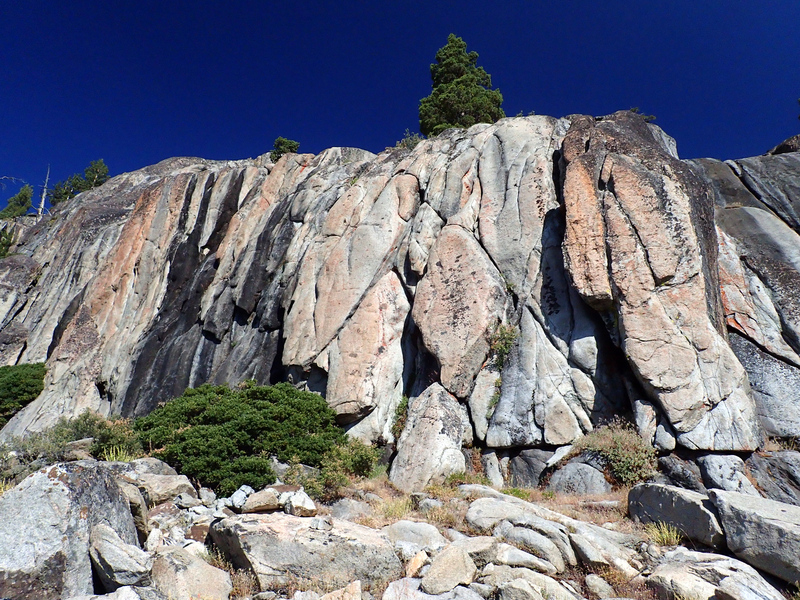 then started climbing up and around the mass of colorful granite on the other side of the valley. 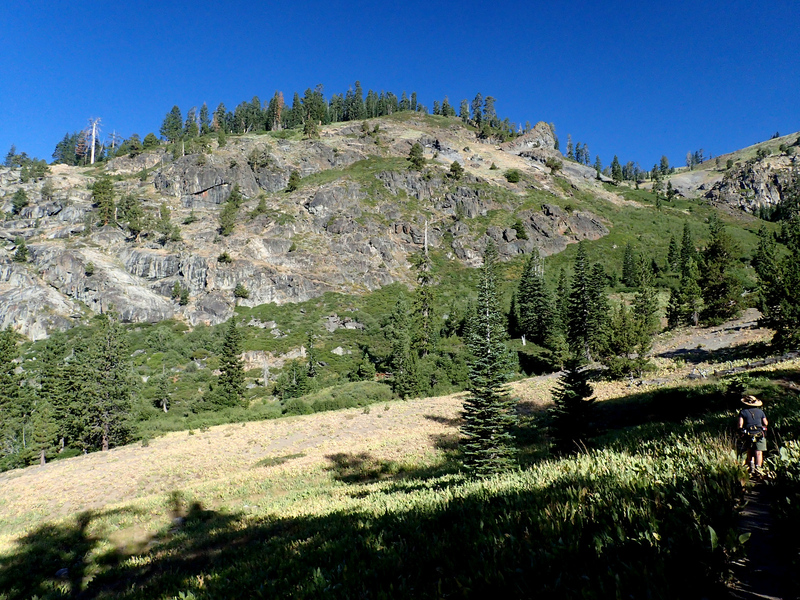 This wide-open area provided wonderful views of the surrounding mountains, as well as of Squaw Valley. 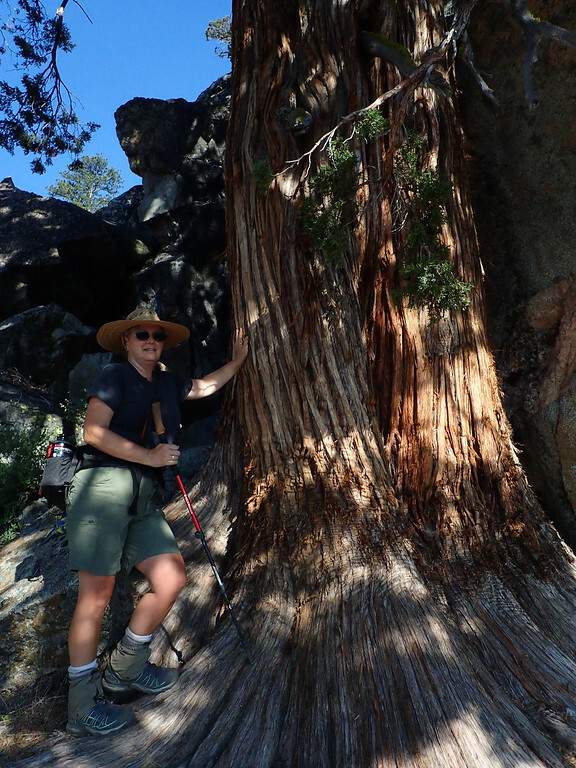 This is also where we encountered one of the largest junipers we’ve seen since our backpack around Tuolumne Meadows. and, about four miles from the trailhead, reached a junction with the PCT and a sign pointing the way west (left) towards Granite Chief. 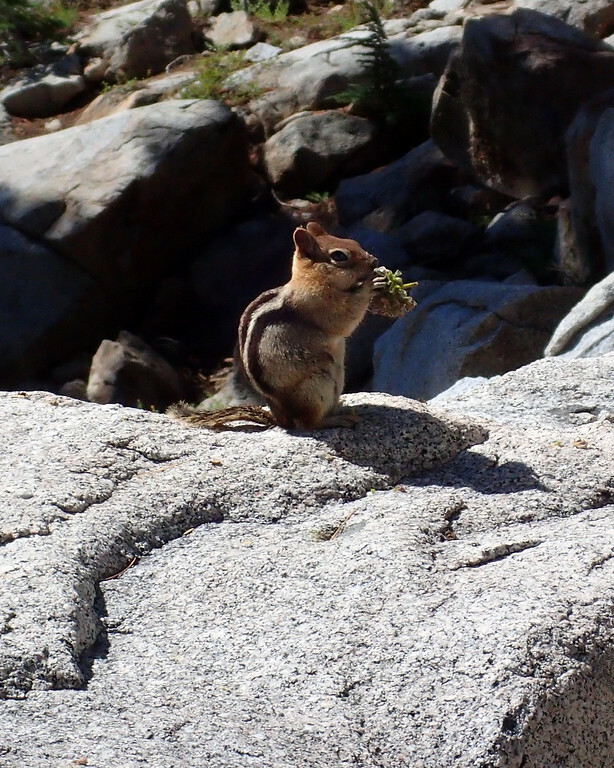 and around a small mammal actually eating natural foods instead of our snacks! Wonders! 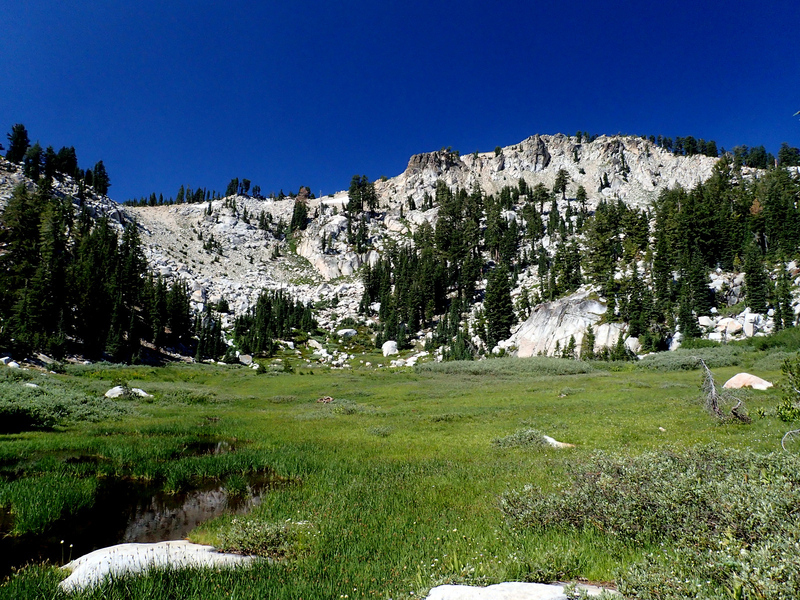 Soon Granite Chief hove into view to the northwest, across the meadows and meanders at the head of Squaw Creek. Our maps didn’t show it, but there’s now a ski lift crossing above the PCT just before the saddle where the use trail to the summit starts. From the saddle, I found a pretty obvious use trail that took me – over some sandy and rocky sections – right to the summit. The views were as promised, an expansive 360 all around, marred only by the haze from nearby fires. 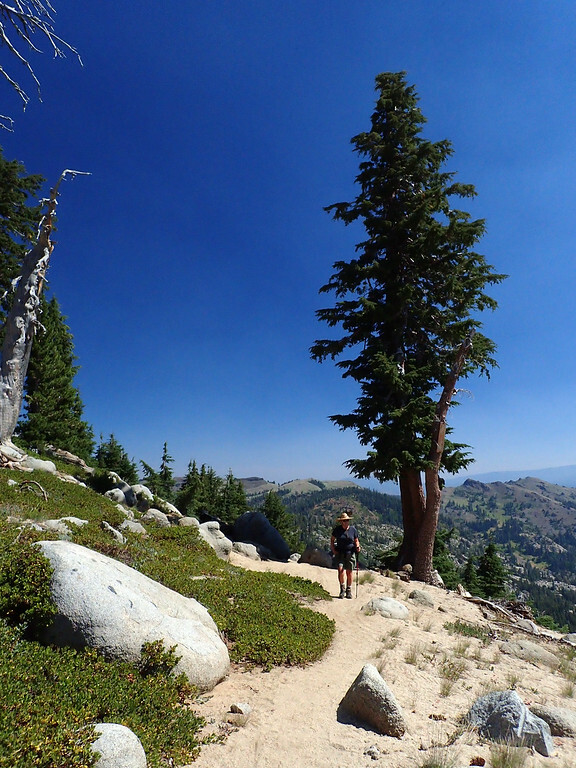 I met a guy on the summit who suggested that, instead of retracing our steps, we take the Shirley Lake Trail back – which is the way he’d come up. 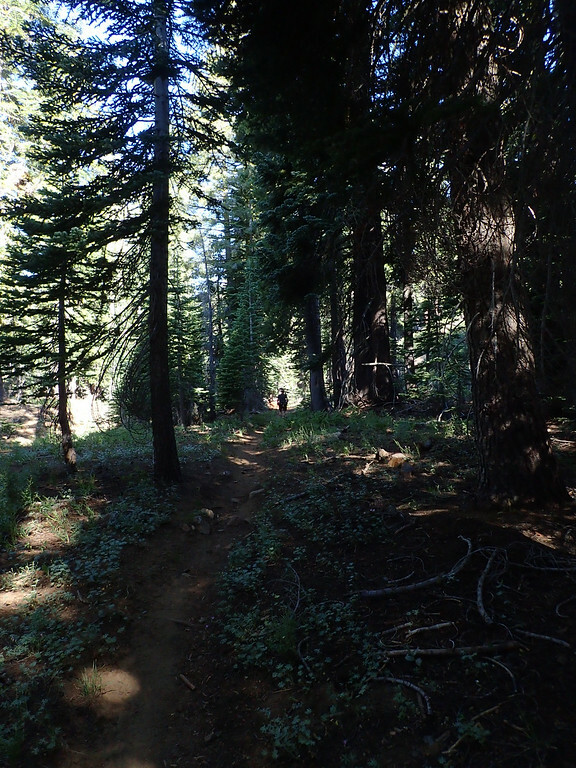 According to him, this trail went directly down the Squaw Creek Valley and would supposedly save us some time on the return. 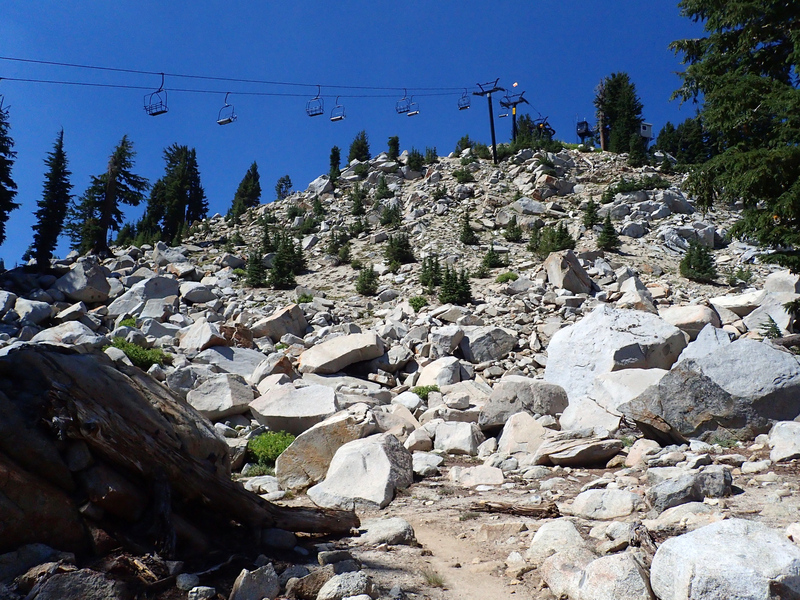 and then walk down two different service roads to the base of the Shirley Lake lift across from Shirley Lake. The well-trodden, but largely unsigned (there are a few signs, as well as several blue paint markers) Shirley Lake trail started just beyond the lake. 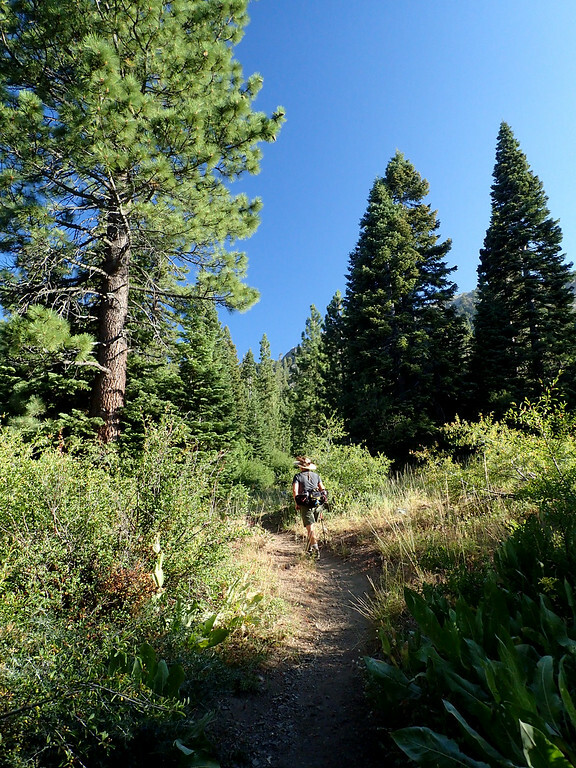 One of the guidebooks describes this use trail as “…a delightful route for young and old alike.” While we saw a lot of folks ascending and decending this “trail”, we have to, at the risk of offending the local’s seemingly unnatural love for this use trail, DIFFER. This thing is a piece of poop and we would have been far better off going back on the truly delightful Granite Chief trail. 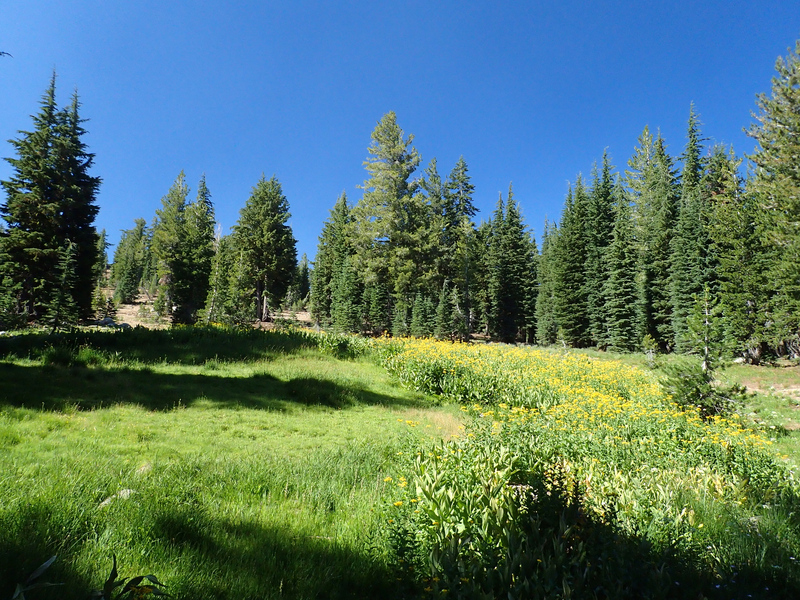 When the Shirley Lake trail got within 50 yards of the Granite Chief trail, that’s exactly what we did – crossed Squaw Creek and took the Granite Chief trail back to our car. In the end, no time was saved and the LovedOne’s knees (and patience) took a beating on the way down. 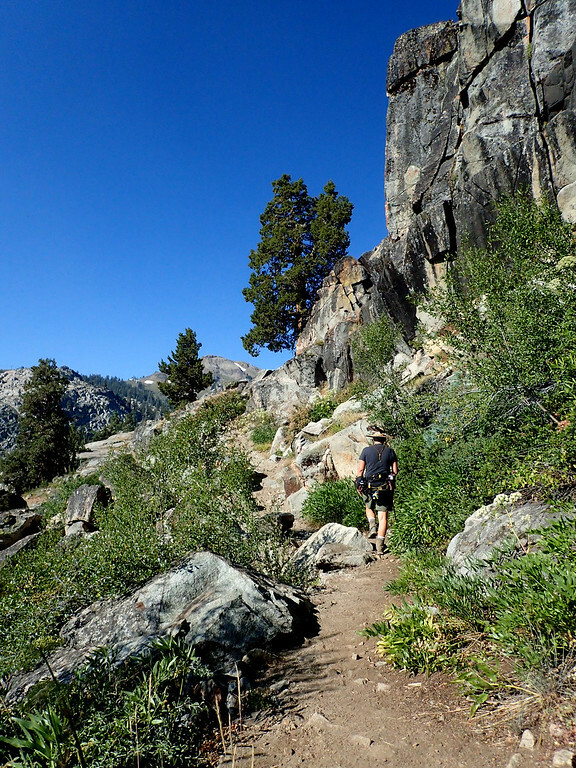 So our advice is to AVOID the Shirley Lake trail and go out-and-back on the Granite Chief – it’s a real trail! 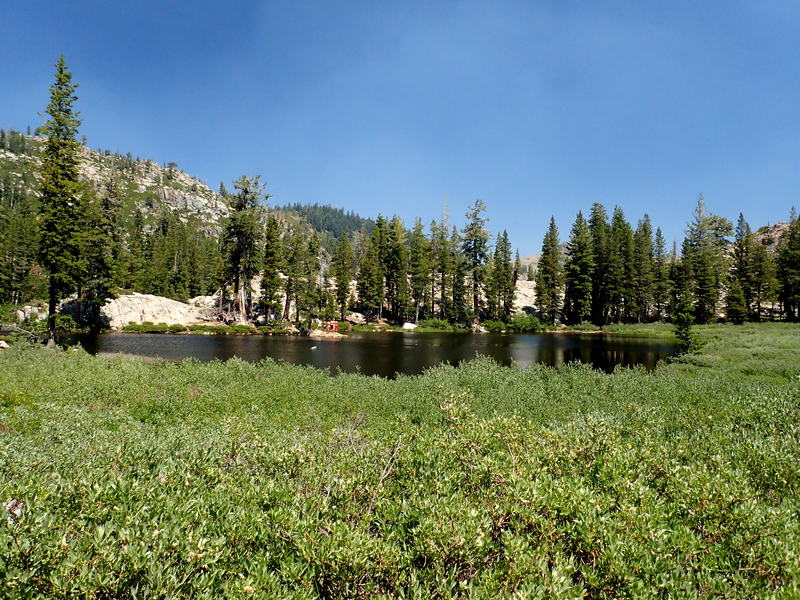 The attractions of the Shirley Lake trail seem to be a visit to Shirley Lake – one of the few alpine lakes in this area – and, if you keep going up the service road to High Camp, a ride down on the tram (which is supposedly free for those going down). But it would have to be an absolutely amazing tram ride to compensate for the “delights” of this use trail! 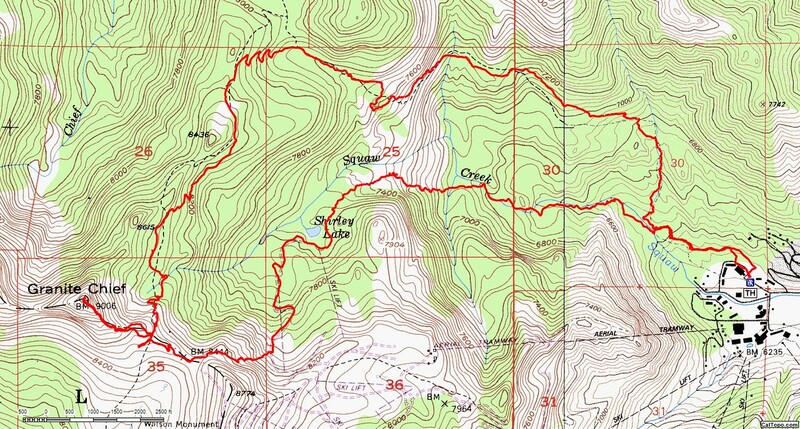 Total hike was 10.7 miles round trip, with 2,100 feet of elevation gain.